The clue is in the name – and in the incredible artwork! This series isn’t geography as you know it. It’s stuffed with eye-popping graphic artwork you’ll absolutely love. In each book, colourful infographics give you the lowdown on our planet, backed up with photos and fascinating facts. 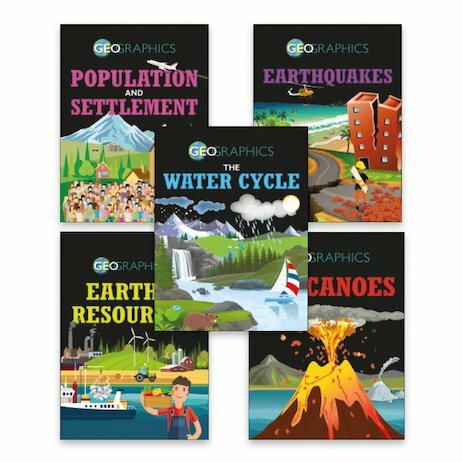 Plus, each geography topic is linked to must-know curriculum info about people, climate, resources, environmental threats and more. From exploding volcanoes to ever-precious water, look at your world with fresh eyes.